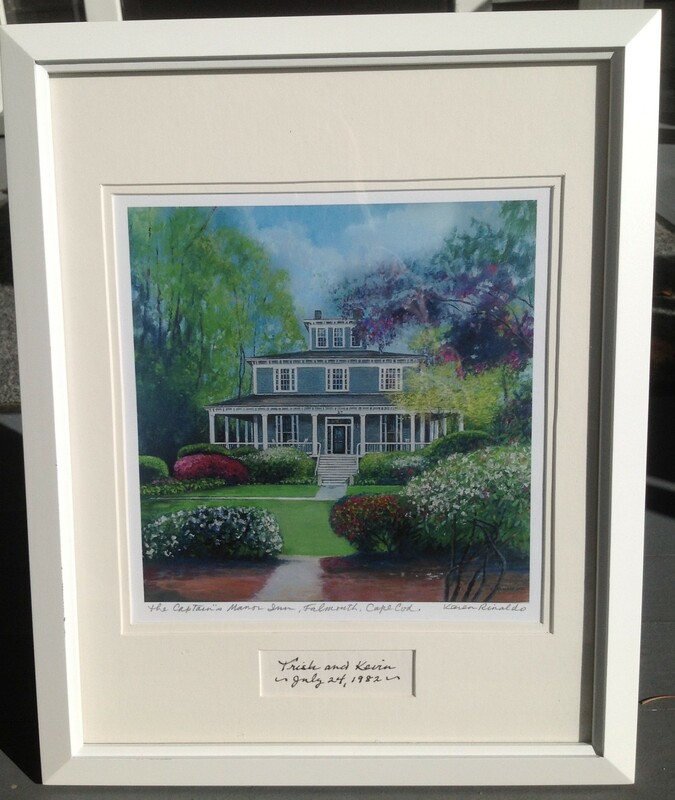 The print is 8″ in width by 8 1/2″ in height and has a backing that is 9″x 9 1/2″. 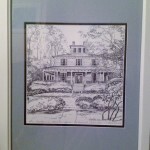 You can order the print by itself or you can order the print framed with an off white mat and frame. 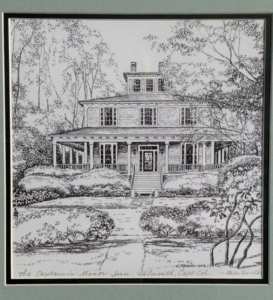 The style framed is shown below. 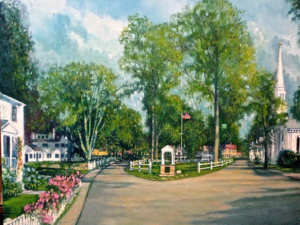 Falmouth Village Green art by local artist Karen Rinaldo. This is a giclee print and measures 15″x 15″. 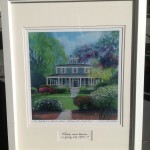 Karen is a celebrated artist who has captured numerous Falmouth iconic nature and historic building sites. 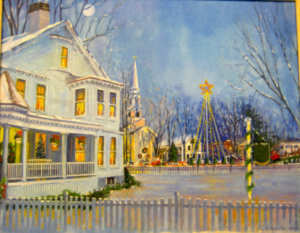 Falmouth Village Green holiday scene is a giclee print of the orginal artwork by Karen Rinaldo reflecting Falmouth Village Green decorated for the holiday season. 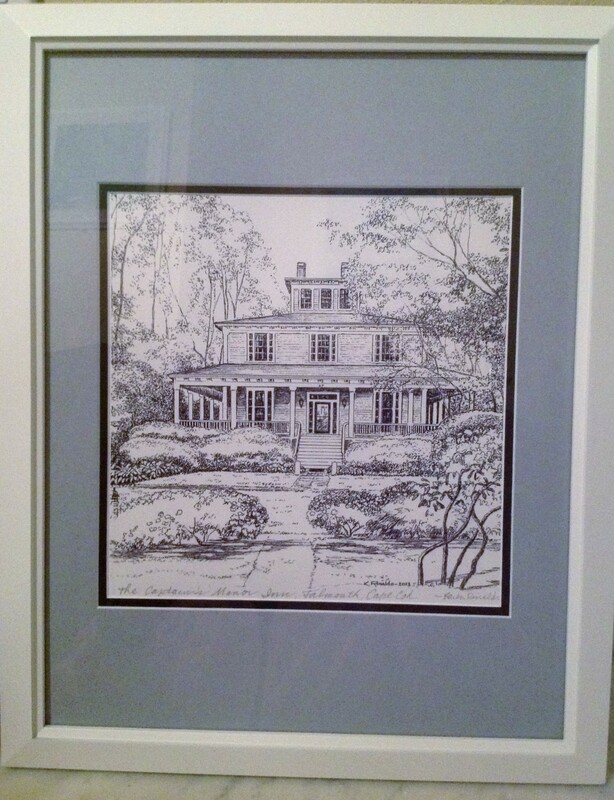 The print measures 13″ x 15″. 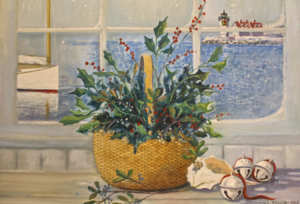 Jingle Bell giclee print is a classic holiday print of the original artwork done by Karen Rinaldo. The print measures 11′ x 15″. 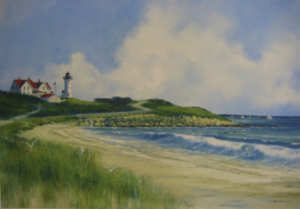 Nobska with beach is a beautiful giclee print of the original artwork by Falmouth artist, Karen Rinaldo. 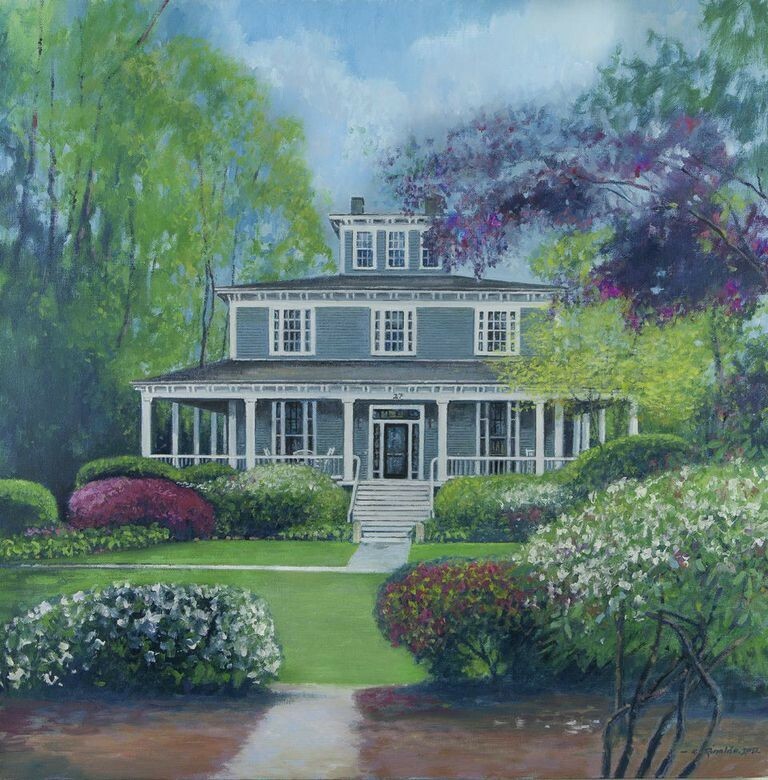 The print measures 15″ x 15″.